Outgoing Romanian PM and former EU Commissioner Dacian Cioloş could have saved the village of Rosia Montana by filing a procedure to make it a UNESCO world heritage site. But he preferred to bow to the interests of a Canadian firm using cyanide technologies to extract gold, writes Claudia Ciobanu. Claudia Ciobanu is a Romanian freelance reporter based in Warsaw. Florin Arhire contributed with translation. Last week, Romanian Prime Minister Dacian Cioloş declared it would not submit an official application to make the village of Rosia Montana a UNESCO world heritage site. The prime minister may have been intimidated by an arbitration case the project’s promoter, Gabriel Resources, opened against Romania at the World Bank’s arbitration court, the International Centre for Settlement of Investment Disputes (ICSID). Rosia Montana, the village in the Apuseni mountains threatened by the cyanide-based gold mining project, has a unique cultural value acknowledged by many experts, being a place where remnants of mining since Roman times are preserved intact. In recent months, the Ministry of Culture, led by Corina Suteu, had prepared a strong official application to UNESCO, with Cioloş’ endorsement. The Romanian public expected that Prime Minister Cioloş, a former EU Commissioner for Agriculture, would formally submit the application to UNESCO by the end of his mandate, which expires this week with the appointment of a new prime minister following general elections won by the Social-Democrats earlier in December. For many Romanians, Cioloş’ endorsement of the application was the last chance to turn Rosia Montana into a UNESCO site. The prime minister had expressed support for saving Rosia Montana and he encouraged the efforts of the Ministry of Culture. The deadline for submitting the application to UNESCO is 1 February. A new PSD government (replacing that led by Cioloş) would have to assume the UNESCO file as a priority and submit it in the first days of its mandate. This is unlikely. Over time, activists in Romania perceived the PSD as a party whose members were open to the pro-mining arguments of Gabriel Resources. The massive 2013 protests for saving Rosia Montana were triggered by a law proposed by a government led by PSD Prime Minister Victor Ponta, which would have overruled court verdicts to give the green light for the cyanide project. Yet, despite public pressure, Cioloş decided last week not to forward the official application to UNESCO. The executive justified this decision due to a lack of time and the complex situation related to the arbitration case between Romania and Gabriel Resources. In 2015, Gabriel Resources took Romania to court in front of the ICSID for compensation rumoured to be of up to $4 billion. The project had been blocked by Romanian courts, despite generally receiving support from Romanian politicians across the spectrum. Gabriel Resources claimed it had invested over one $ billion in preparing for the mine already and asked for retribution. On 26 December, the Cioloş cabinet proposed a ten-year moratorium on the use of cyanide in mining activities in Romania, which showed that Cioloş understood the importance Rosia Montana has for many in Romania. Unfortunately, the proposal for a moratorium would still have to be approved by a now PSD-dominated parliament. The only real way for Cioloş to really save Rosia Montana would be to put it on the UNESCO list. The official explanation of the government for not submitting the application was that the Ministry of Culture should have obtained the approval of all other ministries, which had not been done. Additionally, the government said that, after the parliamentary elections in December, it does not have the authority to approve the official application via an executive memorandum. To villagers from Rosia Montana and their supporters, the government’s reasons sounded like excuses. Cioloş was accused of not being brave enough to take political responsibility for the UNESCO application. 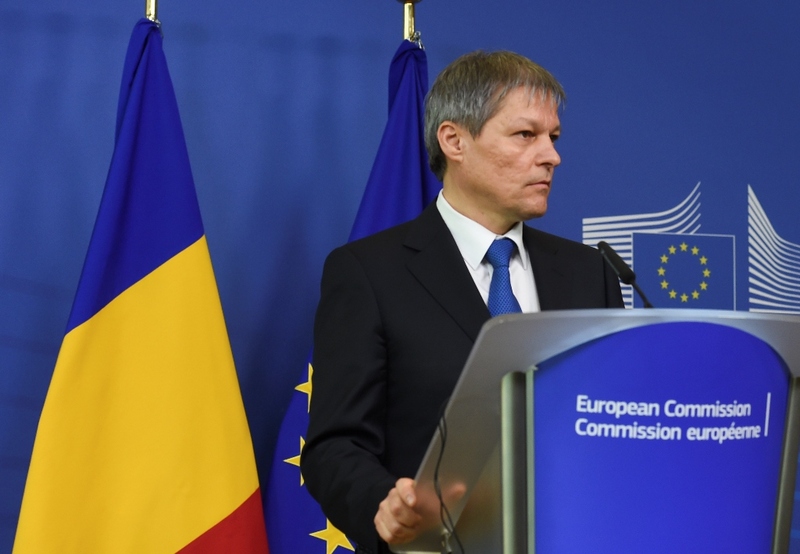 Reports indicate that in recent weeks, the prime minister had been advised that applying for UNESCO status could weaken Romania’s case in its confrontation with Gabriel Resources at the World Bank court. This is because UNESCO status would have allegedly helped Gabriel Resources argue that Romania was breaching its obligations under bilateral commercial treaties with the United Kingdom and Canada, where Gabriel has subsidiaries, and which constitute the legal basis for the World Bank trial. Gabriel would have been able to argue that there was a contradiction between Romania giving them a license to mine and turning Rosia into a UNESCO site, according to this interpretation. Legal experts following the Rosia Montana case closely argued, however, that Romania should not fear a weakening of its case from UNESCO. At the time Gabriel got the licence, Rosia Montana already enjoyed some national protection status, which meant the company should have known about risks that the project would be blocked. Moreover, argued the legal experts, the mining project prepared by Gabriel had many legal gaps (proven by the fact that Romanian courts repeatedly cancelled permits obtained by the company) which would allow Romania to win the World Bank case over time. States sued by corporations in front of arbitration courts often fear they will lose. The cases last for years and procedures are opaque. Yet just this October, in a very similar case concerning a gold mine, the World Bank court ruled in favour of El Salvador against Oceana Gold, ordering the company to pay 8 million US dollars in legal costs. States can win, even if it is difficult. Unfortunately, Cioloş’ decision not to submit the application this year might be the worst case scenario for Rosia Montana. It is unclear how strongly a PSD-run government would fight in the arbitration court. It is possible PSD might even decide to settle with Gabriel Resources, at the cost of allowing the mining project to go ahead – Gabriel declared their openness to such a deal. The risks of losing the World Bank trial are always there, no matter who is in government and whether Rosia Montana has UNESCO status. But the UNESCO status would have offered Romania the important guarantee that Rosia Montana, the country’s most beloved village, was saved. Cioloş was liked in Romania for his performance as a technocratic prime minister in charge of the government for the past year (at least by comparison with previous prime ministers). But the UNESCO decision angered many and casts a shadow over his mandate. As one campaigner for Rosia Montana told me, history shows that those who do not protect Rosia Montana do not have a bright future in Romania. Cioloş’ decision was disappointing. How the PSD will act on Rosia, time will tell. The only certainty is that the tens of thousands of Romanians that took to the streets weekly in 2013 to save Rosia are still watching closely. And they know how to protest effectively. this is a BS of a title and a quite the same of an article. the situation has nothing to do with Ciolos, it is about a legal action under development, which stopped the procedure. Your journalist should inform himself better. This is a reason why Canada wants invester settlement protection with CETA. If Romanians are against mining in this area for cultural or environmental reasons, then why did it sell a licence to mine the area? Why would Gabriel be villified for trying to recoup their investments because the Romanians have changed the rules? That is not how one does business. The author is also sensationalising that the gold mining is done with cyanide. Yes, it is gold mining. That is what they use. It is poisonous, and the Romanian government would have known that. So, again, why did the government sell the license? This is a nationalist reaction against a foreign company. Blame the Canadian foreigners. Don’t blame yourselves for the original greed in profiting from the sale of the license. So you are giving bail to the international polution from Rosia Montana, through the romanian west territory to the Tisa river, through the hungarian territory to the Danube and till the Black Sea! By the way, the licence was sold by the former PM PONTA (in trial for corruption)! Why give forum for sold journalists? The Rosia Montana gold mine was sold to Gabriel Resources (a UK, Canada and corrupt romanians joint-venture) by the former PM Ponta (in trial for corruption)! Romania undoubtably has, along with many other European Union nations, a major problem with corruption. However, if a government is going to change direction in its policy for allowing mining, and expect a Company to absorb the losses, what credibility would this government have in any future business dealings? What respect would a Canadian government have for Romania if its government terminated previous business arrangements for a Canadian company without compensation. I can understand why Romanians do not want this mine, but Romania has to be responsible for due compensation for lost investments. Romanians, and Europeans in general, just cannot wrap themselves in their flag and demonize foreign companies. It seems very similar to what is happening in the U.S. these days, where foreigners are to blame for their woes. This is why Canada wants the investment protection clauses in CETA. Many European governments cannot be trusted in safeguarding investments. Even Germany with the nucleur plants! What if you were Swedish and had investments in Verstaffen, and the Germans decided to shut you down, because of an earthquake in Japan. That case is in arbitration in New York, not some German court. Europeans are too self-righteous in that they do not recognize that they are not always the most ethical people to deal with. And by the way, Demos, that spill in 2000 was by a joint venture between an Australian mining company, Esmeralda, and your own state owned Romanian company. So you are blaming Gabriel for past bad mining practises of other companies. How am I giving forum to sold journalists? What exactly do you mean? The journalist in this article is obviously against the mine and disappointed that the area is not going to be a UNESCO sight. Frankly, I do not know what the hell you are referring to. Just ranting on against foreigners.